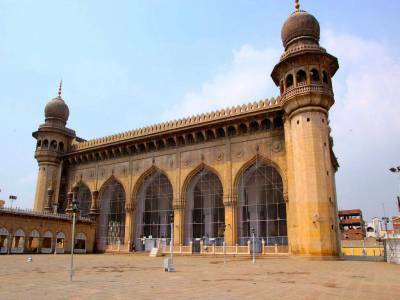 The Makkah Masjid of Hyderabad is one of the most ancient Muslim religious structure in the whole Indian sub continent and probably one of the oldest grand mosques in the country. 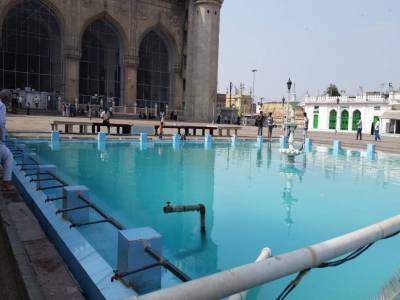 It is also the largest one in the Telangana state and one of the greater mosques in the country. The grandeur of the mosque with its religious heritage acts as a lead magnet for the tourist. 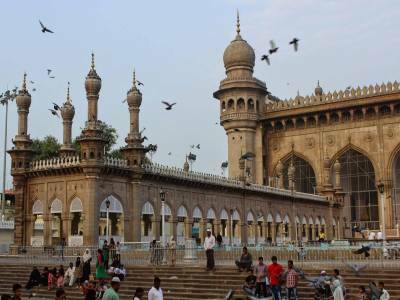 The Makkah Masjid of Hyderabad is conserved by the Telangana state government as one of the heritage sites like the Charminar and Golconda fort. 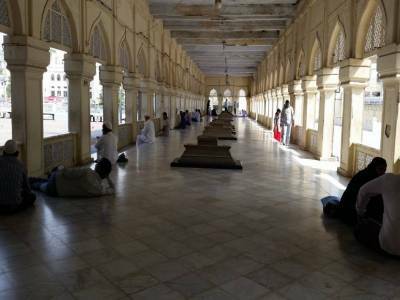 The Mosque was built in the days of Nawab rule in these southern parts of India. The story behind the establishment of the Makkah Masjid of Hyderabad is that, the 5th Nawab of the Qutb Shahi lineage, Mohammad Quli Qutb Shah, during his reign visited the holy land of the Islam, the Mecca. On his return he brought the holy soil of Mecca with him and orders construction of a mosque with that soil as base. After the commission of the project it took quite a great zeal to finish this grand mosque. This is the reason why the mosque is christened with the name of Makkah Masjid. The architecture and sculpture of the Makkah Masjid of Hyderabad is very illustrious and have the bursting flavours of the southern Nawabi style. The prayer courtyard, the minarets and the halls are all very elegantly built. It was built with the structure of the original Mecca Mosque and as homage it really lived up to its reputation. Legend has it that a hair of Prophet Muhammad is buried in this courtyard. This mosques most certainly peaks interest and spirituality among the visitors for all across. 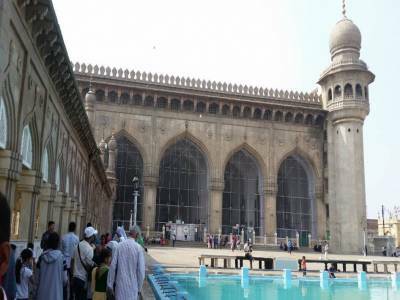 Get quick answers from travelers who visit to Makkah Masjid.